There’s something unique about vintage and retro caravans. 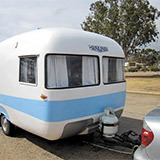 Interest in classic caravans (and in particular pre-1970 caravans) has enjoyed phenomenal growth throughout Australia over the latest decade. So what makes them special? 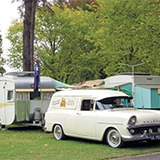 Is it the classic designs that drive people to attend vintage caravan get-togethers? Or could it be nostalgia for seemingly simpler times that drives enthusiasts to spend months or years restoring their rigs? Purchasing a classic caravan can be a big investment. Even if the initial outgoing doesn't break the bank, the time, energy, love (and money) you will put into restoring it can add up rapidly. Caravan World contributors Susan and Keith Hall have spoken to experts in vintage caravan restoration for top buying tips. Water damage can show as hairline cracks in the wall panelling, so drum your fingers on the panelling to see if there appears to be any separation of the layers of the ply, or if the ply feels spongy when you press on it. Registration requirements are different in different states, so make sure you check on these before you buy a caravan from interstate. 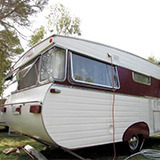 Before you buy a vintage caravan recognise the limitations of your own DIY skills. Be realistic about what scale of project you can handle and seek advice from those more experienced. This caravan has plenty of distinctive retro features, including a cute porthole window. 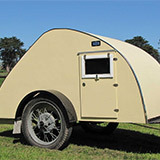 This lovingly-restored vintage caravan is named after its owner’s four-legged friend. This beach-themed vintage caravan has proven itself time and time again on the road. This well preserved caravan is a testament to 1950s manufacturing technology. Careful restoration has given this vintage Globetrotter caravan a new lease on life. A beautifully restored Roadmaster Luxury Liner is the perfect vintage caravan for a weekend getaway. 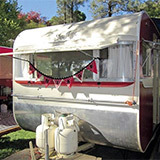 Caravan World readers share their photos and stories about their pride and joy. 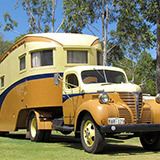 Check out these marvellous vintage caravans (and their tow vehicles) from around Australia. 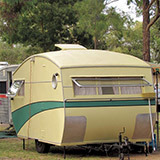 Do you love vintage caravans? 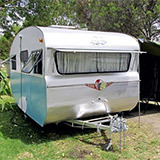 Check out photos of retro caravans lovingly restored by Caravan World readers who have made retro rigs their pride and joy. If you think that ensuite bathrooms are a new addition to caravans, you’re wrong! 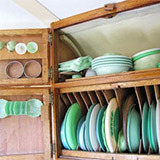 Crockery in a vintage van can be as old and collectable as the van itself. Teardrops were very popular in the late 1940s and early 1950s, but this one is a little more modern. Keith and Susan Hall discover a “shipshape” custom-built retro van with a unique nautical past.